Insomniac Cares is dedicated to making a positive impact on issues facing the communities and neighborhoods where our events are held. Since 2011, Insomniac Cares has partnered with over 30 national charities and community organizations, donating almost $2 million while reviving defunct children’s art and music programs, providing housing for homeless youth, funding groundbreaking cancer research, reforesting local parks and more. In 2015, Insomniac Cares launched the first-ever “EDC Week Charity Auction” in partnership with eBay For Charity and the leading companies in Las Vegas, giving the public a chance to bid on once-in- a-lifetime experiences to support local charities. One hundred percent of the proceeds from the auction go directly to charity. In the past two years, the auction has raised almost $200,000 for incredible nonprofit organizations. The 2017 auction total will be announced in the coming weeks. 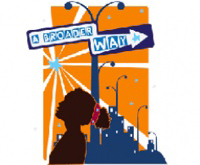 A Broader Way Foundation (ABW) is dedicated to offering girls from urban communities an outlet for self-expression and creativity through arts-centered programs. The emphasis is on building self-esteem, developing leadership qualities and striving for personal and social achievement. AAt A Place Called Home, caring staff, supporters and volunteers come together to provide South Central children and teens 8–21 years old with love, safety, enrichment, training, and opportunities through educational programs, counseling, and mentorship. The American Red Cross is a humanitarian organization that seeks to prevent and alleviate human suffering in the face of emergencies by mobilizing the power of volunteers and the generosity of donors. The nonprofit provides emergency assistance, preparedness education, health and safety classes, blood drives and more. The Boys & Girls Clubs offer a safe place for young people to learn and grow. Club programs promote and enhance the development of boys and girls by instilling a sense of competence, usefulness, belonging and influence. These programs encompass education and career, character and leadership, arts, sports and recreation and more. It is the vision of the Brent Shapiro Foundation for Alcohol and Drug Awareness to conquer alcohol and drug dependence through education, removing the stigma and isolation associated with the disease, encouraging open dialogue, providing support to parents on how to communicate with their children and others, and creating educational tools for parents, teachers and communities. 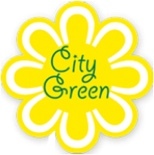 City Green, Inc. is dedicated to facilitating the establishment of urban farms and gardens in northern New Jersey’s cities to create increased access to healthy, local food while cultivating education in food systems, nutrition and the environment. City Green offers practical, technical and financial support to community members of all ages to design, create and manage these urban green spaces. The mission of the School-Community Partnership Program is to improve academic achievement, foster successful individuals and enrich student experiences by connecting schools with business and community resources in Clark County. Culture Shock Las Vegas is part of a network of Culture Shock organizations around the U.S. and Canada that are dedicated to empowering youth through performance art and dance, while steering them away from substance abuse, violence and hatred. The design of the University of Nevada’s Emergency Medicine residency program combines the academic and operational training necessary to flourish in the complex environment of today’s emergency departments, with the stimulating hands-on clinical experience found in the setting of a high-acuity county facility. "Every 15 Minutes" is a two-day program involving high school juniors and seniors that encourages them to think about personal safety when alcohol is involved, making mature decisions and recognizing that their actions affect others. LVMPD partners with the Clark County and Las Vegas Fire Departments, University Medical Center, Clark County Coroner's Office, Mercy Air, Ambulance services, Palm Mortuary and a host of sponsors to create an invaluable message for the youth of Clark County. Feeding America reaches out to the community for donations, grants, fundraising, food drives, food rescue, harvesting, and volunteers to help provide food, education and advocacy for the hungry. They are committed to finding innovative, sustainable ways to end hunger. Global Inheritance develops experiences that educate individuals about global issues and inspire them to take positive actions that create solutions. Each year, GI expands its portfolio and creative executions to address the most critical environmental and social issues, from recycling to alternative energy. The H.E.A.R.T. Program (Housing, Entrepreneurship and Readiness Training) aims to create new opportunities for adults with developmental disabilities by providing innovative education, training, housing and employment programs in the Houston area. Developed in 2006 by the 501(c)(3) nonprofit Educational Programs Inspiring Communities, the program focuses on low income Houston residents, for whom structured independence may be an uphill battle. 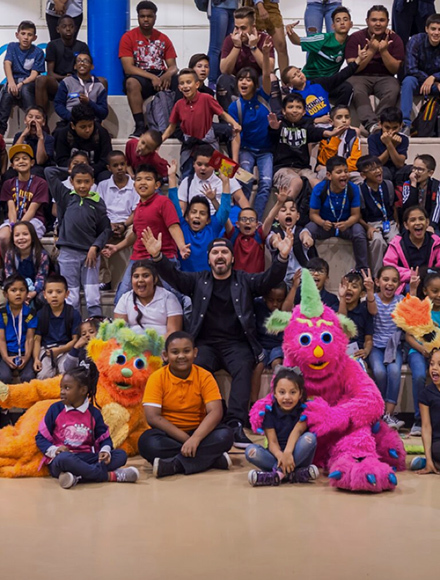 A portion of the charitable funds raised from EDC Las Vegas 2015 went to HELP of Southern Nevada’s Shannon West Homeless Youth Center. This residential facility provides a home for at risk homeless youth ages 16-24 with services ranging from substance abuse counseling, educational assessment, vocational training and life skills groups. The Injured Police Officers Fund helps reduce the financial burden suffered by Police Officers and their families in the event of a line of duty injury or death by providing monetary assistance to these Officers and their families. The LAFD Sertoma Club has a long and illustrious relationship with organizations that aid Los Angeles firefighters. From merit scholarships to pancake breakfasts to toy drives, LAFD Sertoma Club is engaged in a year-round commitment to families of brave firefighters, as well the Los Angeles community altogether. Lifebeat mobilizes the music industry ‘s resources to raise awareness of HIV/AIDS and STDs at live music events, and via broadcast, digital, social, and print platforms. Lifebeat also provides quality of life services and support for people living with HIV/AIDS and their families. The Long Beach Police Foundation is a 501(c)(3) committed to building a safer community that enhance the Long Beach Police Department’s ability to perform at the highest level. The Mayor’s Fund for Los Angeles is a non-profit organization dedicated to improving life for all Angelenos. By leveraging the power of institutions and experts from across the city, the Fund helps create partnerships with the power to transform Los Angeles, making it a world leader in economic prosperity, efficiency, sustainability, and quality of life for all of its residents. The National Orange Show Foundation proudly provides funds for education programs in agriculture, health, general studies, services that benefit at-risk children and their families, programs aimed at improving quality of life, student scholarships, community enrichment and literacy. The Pablove Foundation‘s mission is to invest in underfunded, cutting-edge pediatric cancer research, inspire cancer families through education and improve the lives of children living with cancer through the arts. Rock the Vote is the largest nonprofit and nonpartisan organization in the United States driving the youth vote to the polls. Insomniac partnered with Rock the Vote during the nation’s last presidential election season to create the Spin the Vote, a program that educates the dance music lover about the electoral process and makes registering festivalgoers easy. 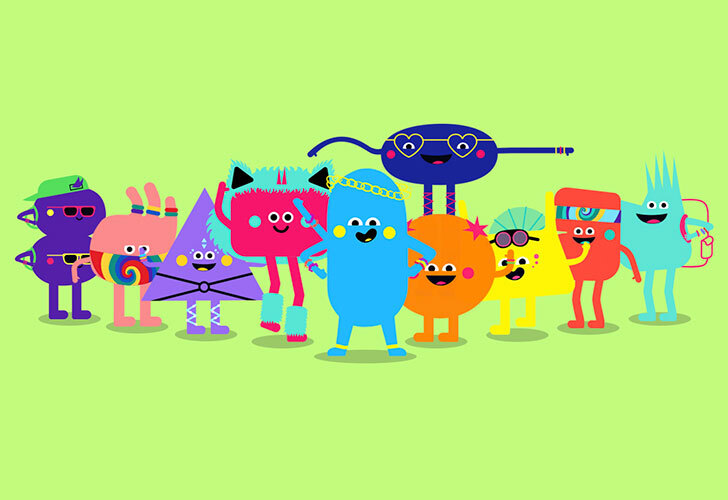 Trios of musicians visit fourth and fifth grade classes to provide educational and entertaining workshops focusing on symphonic music, use of instruments, careers in music, and working as a team. The Sheriff's Gift of Love program was created by the San Bernardino Sheriff's Department in 2001. Each holiday season, Sheriff's Gift of Love organizes a drive to provide gift wrapped toys to children in need in the San Bernardino county area. The Sheriff's Aviation Unit along with holiday helpers deliver the gifts to the children and their families. The Smith Center for the Performing Arts provides and preserves a high-quality performing arts center that is embraced by the community and recognized as a vital force by supporting artistic excellence, education and inspiration for all. The Southern California Mountains Foundation believes that connecting communities to public lands is the key to their survival. They mobilize individuals to inspire and engage in environmental citizenship by raising money, organizing critical volunteer resources, and creating and managing programs focused on health, stewardship and sustainability of the Southern California mountains and urban "forests”. Spark of Love is the San Bernardino Fire Department’s annual toy drive initiative in collaboration with ABC7 News. Donations benefit children ranging from infants to seventeen years of age in the San Bernardino area. The Las Vegas Speedway Children’s Charity cares for children in educational, financial, social and medical need in order to help them lead productive lives. Their vision is that every child has the same opportunities no matter what obstacles they are facing. The Zebra Coalition is a network of organizations that provide services to lesbian, gay, bisexual, transgender and all youth (LGBT+) ages 13 – 24. The Coalition assists young people facing homelessness, bullying, physical and sexual abuse, drug dependence, and isolation from their families with individualized programs to guide them to recovery and stability. The Eli Home is an Anaheim, CA based nonprofit organization that has focused on breaking the cycle of child abuse and family violence for over thirty-two years. Their Mission is to welcome, shelter, comfort, heal, encourage and strengthen victims of child abuse and neglect, and to prepare them to reenter the community to lead stable, non-violent lives, free from fear and intimidation – to break the cycle of child abuse. The NASCAR Foundation seeks to raise funds and increase volunteerism to support nonprofit charities and charitable causes with an emphasis placed on initiatives that affect the ability of children to live, learn and play. 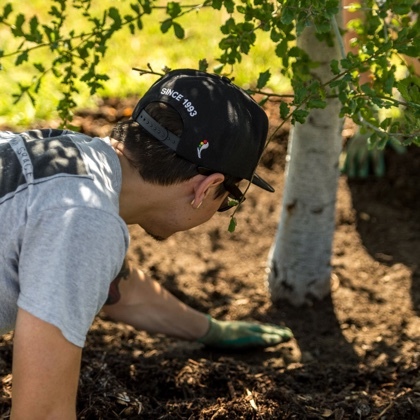 TreePeople is a nonprofit organization that is growing a green and climate-resilient Los Angeles, one with enough tree canopy, healthy soil, and clean local water in even the most urban LA neighborhoods. TreePeople also has deep roots working with policymakers to demonstrate new green and viable infrastructure solutions for a sustainable city. Youth Radio’s mission is to launch young people on career and education pathways by engaging them in work-based learning opportunities, creative expression, professional development, and health and academic support services. Partnering with industry professionals, students learn to produce marketable media for massive audiences while bringing youth perspectives to issues of public concern.